The bright, cutting sound of pure bronze at a low price. Fast, solid response explodes with bright tone, making the Sabian B8X Medium crash ideal for bigger, fuller accents. 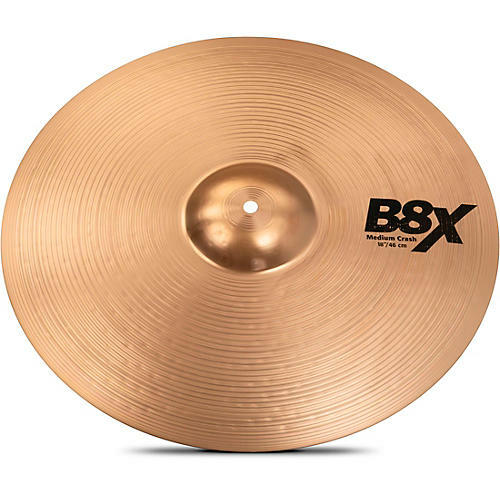 Precision formed, hammered and lathed for pure, tonally tight sounds, B8X makes your first move into this precious metal an easy one. Available in multiple sizing options.